I sat down last night to make a card for my friend... one where the recipient was receiving a special gift... a chocolate class. It seems I lost my inspiration. Not only that but I thought I'd play along with the WOW challenge at the Paper Players... because we all know I love white on white. Now this one called for a little splash of metallic. I started playing around and decided to use the sketch from the Paper Craft Crew (#72). Anyway, I have about 4 baby cards that must be made very soon. Time is ticking for some Mama friends! Have a great day... hope its warmer and less windy where you are! Gorgeous! I love how you pulled all those gold details together so perfectly! Thanks so much for playing at Paper Craft Crew! 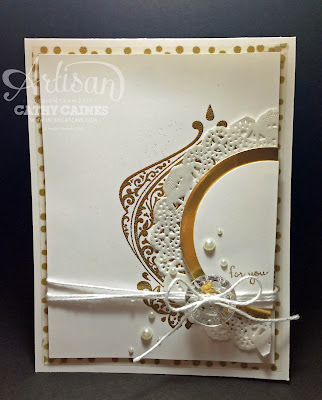 Wow, that WOW card is stunning....the gold and pearl elements you added are just beautiful! Thanks for participating in the WOW challenge this week at the Paper Players! BTW, you have word verification still on, which makes it a wee bit more challenging to leave comments....and we want you to get all the comments you deserve! Let me know if you need to know how to turn it off! Aww! You are sweet Leanne! Thanks! I just had to put the word verification back on. I was getting 20 or so spam a day. I am not sure how else to manage that. Do you know? Wow! You have some great and fun scraps on your stamp table! This is so my fun! 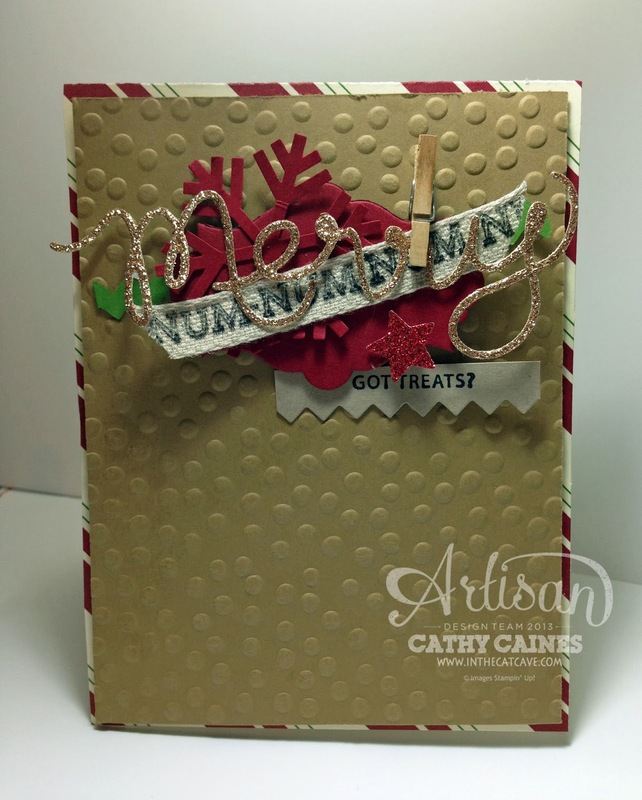 I love the gold and the stamped ribbon. Thanks for joining us at Fab Friday! These are both gorgeous! You have such a talent for mixing bits of different pretty things and making something spectacular. Thanks for joining us at Fab Friday! Gorgeous!!! Thank you so much for playing along with the Paper Craft Crew this week! Your card is stunning!! Love the collage-y (is that even a word??) 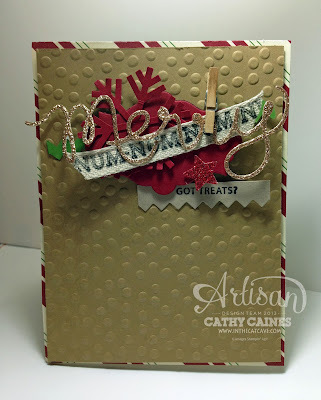 layered feel of your Christmas card! The different elements all work so well together and the little clip is adorable! Thanks for sharing at Fab Friday! 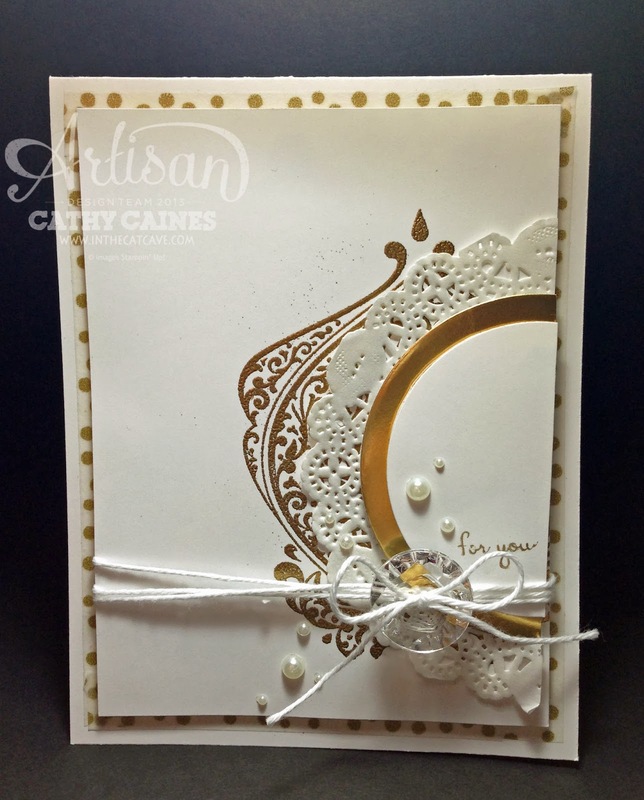 Oh, I absolutely LOVE this card and just have to included it on our Featured Artisan post for the Paper Craft Crew Card Sketch #72! The post will be live tonight. Just Gorgeous and definitely a WOW card. Thanks so much for playing along with the Paper Craft Crew. We hope you continue to play along and share your creations. You are so talented and I have so much fun making Card Sketches - I feel honored to have you as a Featured Artisan.